Dogs are welcome in all bedrooms. 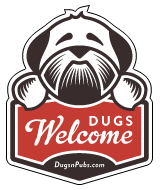 They are also welcome to join their owners in the bar and snug areas for meals and/or drinks. A warm welcome awaits you from Kirsty & Calum at our countryside Bed & Breakfast “The Steadings”. We are on the outskirts of the quaint village of Kettlebridge, providing a relaxing, tranquil countryside setting away from the hustle and bustle (yet close to a wealth of activities & things to see for those visiting the area). We look forward to welcoming you and your dour legged friends! There are a total of 8 dog friendly listings in the Fife category. Please log in, or sign up as a member to view all listings.